Not only didn't Musk talk to the media, but he also didn't meet with anyone from New York State, which shelled out $750 million to build the massive factory and pay for much of the equipment inside it. Gov. Andrew M. Cuomo, who made the Tesla factory the centerpiece of his Buffalo Billion economic development program, doesn't consider it a snub. 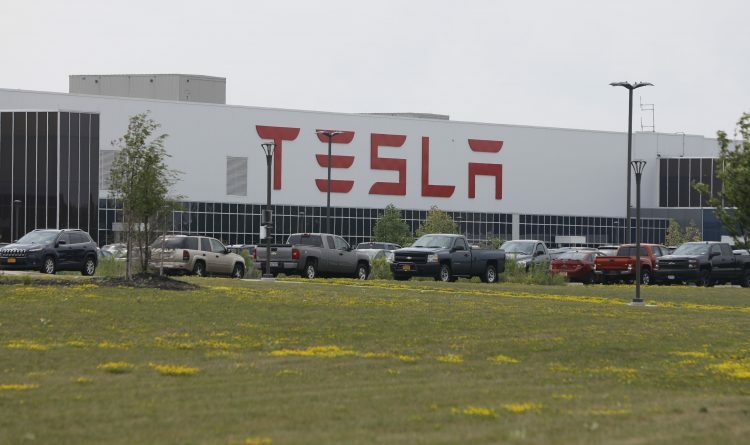 Cuomo pointed out that the factory's current workforce of 700, between Tesla and its partner, Panasonic, puts it ahead of its promise to employ 500 people at the factory by April 2019. But Tesla has a long way to go to meet its next employment target: Employ 1,460 people at the factory by April 2020. "I speak to Elon Musk about a number of projects on different topics anyway," Cuomo said during stop in Buffalo on Wednesday. "We have a lot of things that we are doing together. It's not that extraordinary." Even in a partnership where the state invested $750 million? "I don't know that it's really a partnership," Cuomo responded. "But there are many businesses that we incentivize. They don't call me when they're coming into town. ... They only call me when there is a problem." But there may be problems brewing at the Buffalo factory. To meet its April 2020 job goal, Tesla and Panasonic will have to roughly double the factory's workforce. If it doesn't meet its annual employment goals, Tesla could be slapped with a $41.2 million penalty by the state for each year it falls short. If it gets to that, Cuomo said he plans to do it, too. 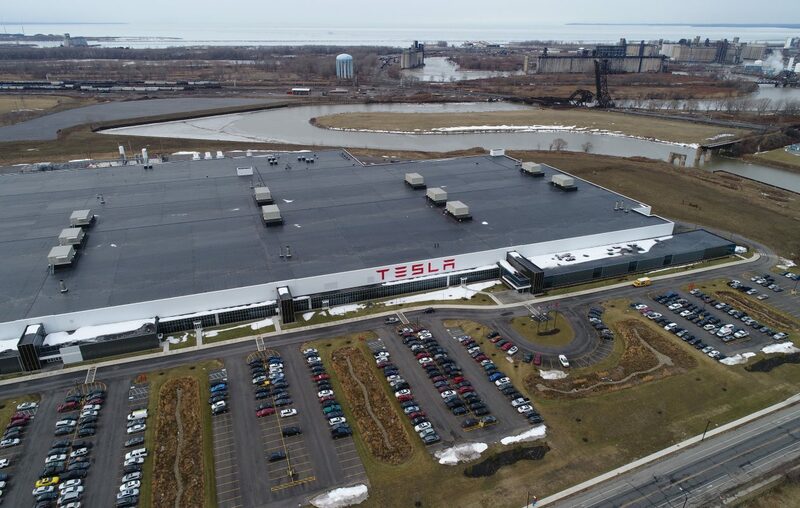 Hitting the 1,460-job benchmark will be a tall task, especially when Tesla's solar energy business is shrinking – not growing – and the innovative solar roof that is expected to be Tesla's main product in Buffalo isn't expected to be ready for high-volume production until late this year. Tesla already has pushed back the target date for ramping up solar roof production several times, including twice since last fall. Musk still expects the solar roof to be a hit with consumers, but it's taking longer than he expected to figure out how to make it work, test it and figure out how to produce it economically. It's a complex undertaking because the solar roof is designed to look like a traditional roof, only with solar cells inside. It also hasn't helped that Tesla has been focusing most of its attention on rolling out its Model 3 sedan, a less expensive electric vehicle that is the key to the company's long-term financial health. Musk has said he still has high hopes for the solar roof, and Cuomo believes him. "We have had the conversation. He gets it. He knows it, and we have gotten no sign from anyone on any level that there is any issue," Cuomo said. "It's his confidence that matters – and our contractual protections. A contract is a contract." But there are ominous signs. Tesla's solar installations fell by 17 percent to a five-year low during the fourth quarter. Its solar deployments last year were 62 percent less than they were just two years ago, when it was the unquestioned leader in the residential rooftop market with a market share of around 33 percent. Today, Tesla is No. 2, and its market share is around 9 percent, according to analysts at Wood Mackenzie Power & Renewables. Tesla doesn't expect the decline in its solar business to stop right away, either. The company said in January that solar deployments would drop even further during the first quarter to another post-2012 low. Tesla also has trimmed its sales channel for rooftop solar. To cut costs as it ramped up Model 3 production, it stopped selling solar door to door in favor of online sales and adding solar displays at Tesla stores, with the expectation that there would be a lot of overlap between the company's vehicle buyers and its solar customers. But Tesla now plans to close about half of its 130 stores and to require all orders to be placed online. Tesla has said about 75 percent of its residential solar orders already are placed online, although it has not indicated how many of those purchases originate with a visit to a Tesla store or gallery. One analyst, Ryan Brinkman of J.P. Morgan, wonders if Tesla's solar roof, which costs two to three times more than a conventional roof, will be the blockbuster Musk thinks it will be – at least right away. "The solar roof is behind schedule, including for product reasons and because the firm has been so focused on the Model 3 rollout," Brinkman wrote in a research note. "Tesla expects to make progress during 2019," he wrote. "Our own estimate is that the solar roof product is likely to prove more of a niche application than originally expected, at least over the medium term." For $750 million, you want a blockbuster, not a "niche application."